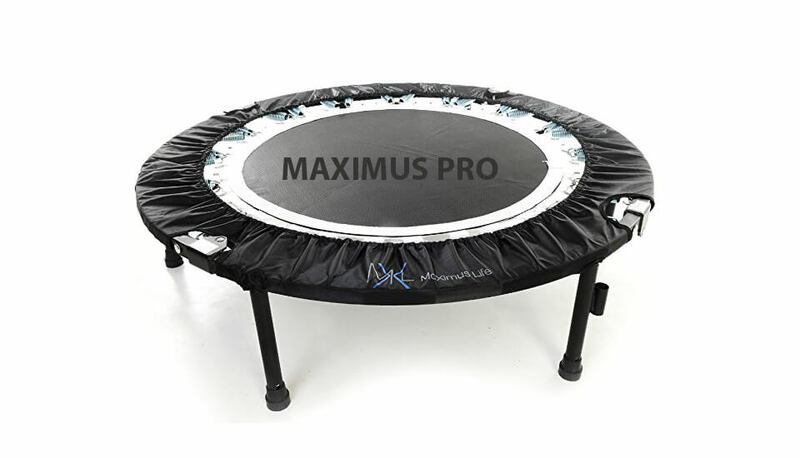 The trampoline is manufactured by Impex, a producer of exercise equipment, fairly unknown in the trampoline world. Its six legs stand 10 inches from the ground and comes with a 250 lbs. weight limit. 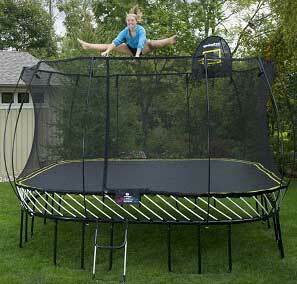 The weight limit could be set too optimistic though, as many have had their elastic bands break easily. The frame does look sturdy enough, though. 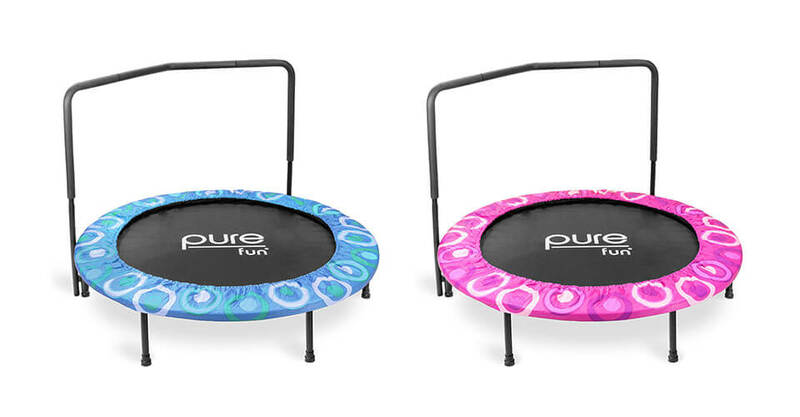 The bounce is a tad subpar at first. 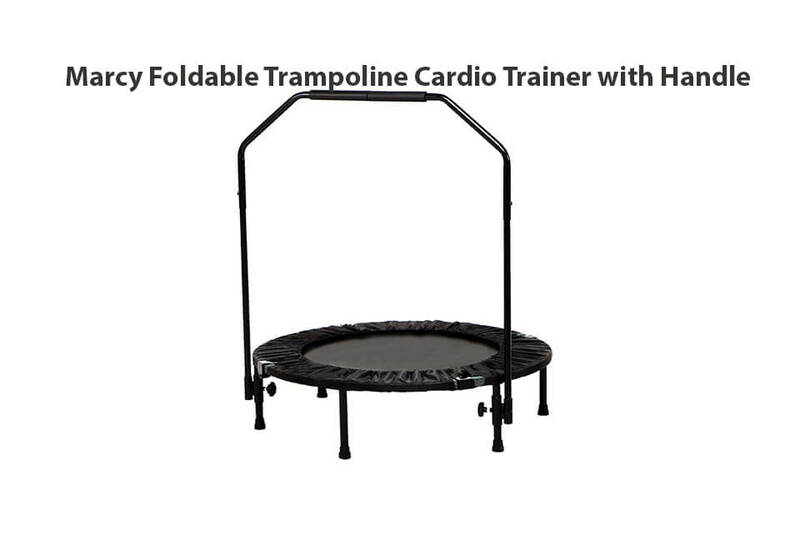 The manufacturer recommends regular bouncing until the trampoline breaks in. Fair enough. 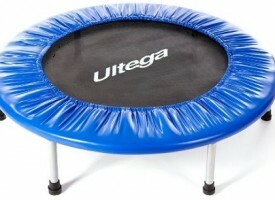 Its woven mat is sturdy and won’t break, but the bounce is still much stiffer than the competitors’ trampolines. 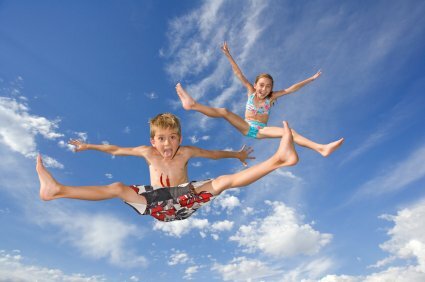 The elastic bands simply don’t stretch as much and there is nothing much you can do. Many users won’t be satisfied with it for this reason. 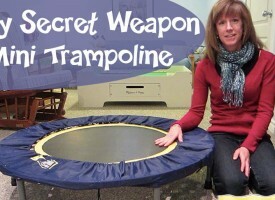 What it lacks in bounce, it makes up for in quiet operation. It doesn’t squeak due to its bungee cord design. Each of its legs come with stoppers to attenuate sound and vibrations. In theory, this makes it good for apartment use. In practice, you’ll have to test it out and see if your downstairs neighbor pays you a visit. 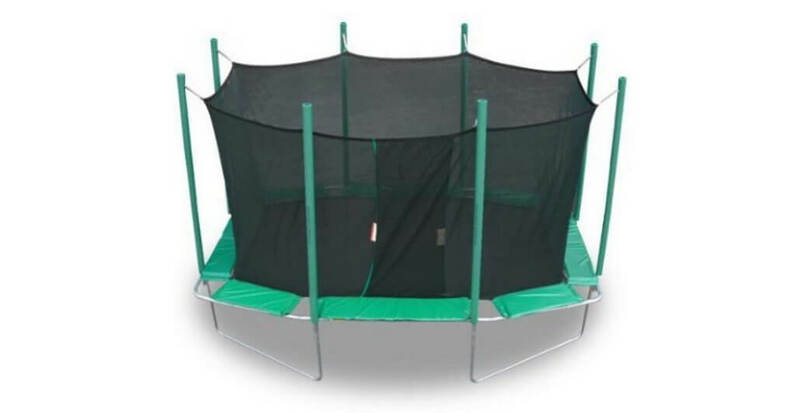 The trampoline comes with a handle bar, which is set about 34 inches from the surface of the trampoline. It cannot be adjusted. 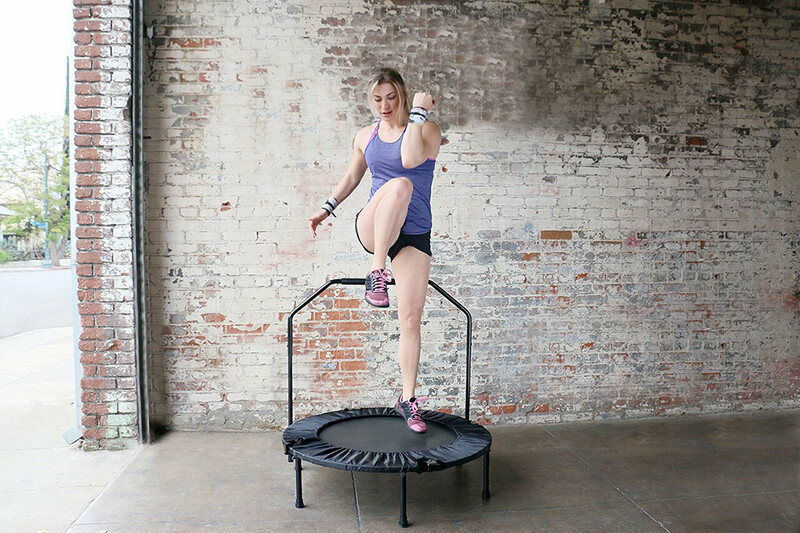 However, you shouldn’t lean too much on the bar, as the whole trampoline could tip over. The bar can be wobbly as well. 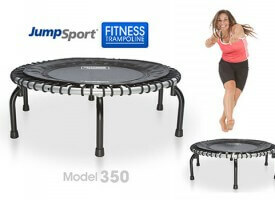 The spring cover will be the first thing to fail, as with many other mini trampolines. Aside from the handle bar, there are no extras, such as exercise DVDs or a transport bag. 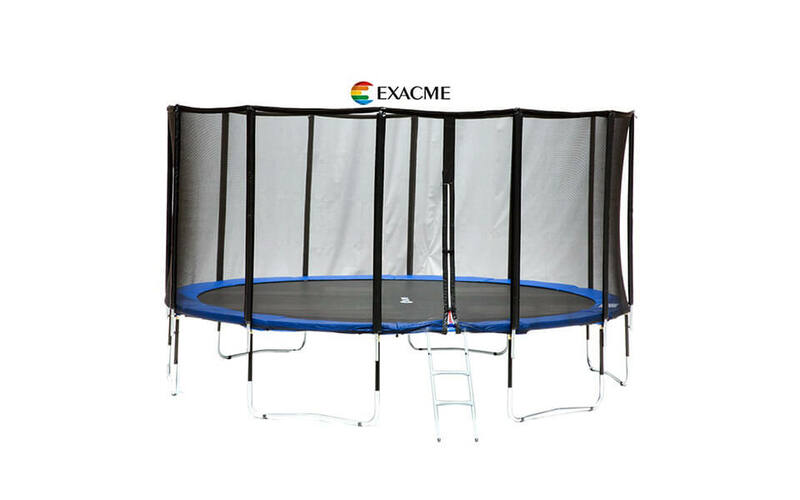 The trampoline is quarter foldable, but take great care. It requires huge amounts of strength and it is known to snap shut very easily and abruptly. The whole folding process takes quite some time, 5-10 minutes, as the legs have to be removed. You’ll experience the same when putting it together after it arrives. It is unnecessarily difficult, but doable. 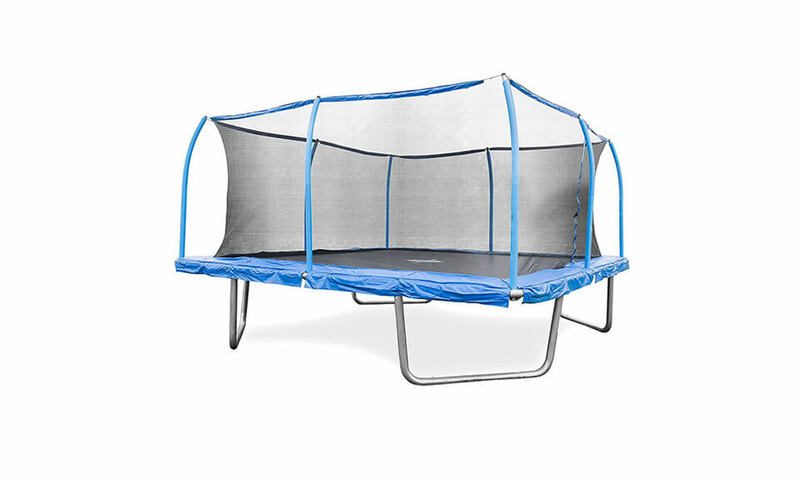 The customer service is helpful and you can contact them if you have any questions or warranty claims – the warranty is two years from the date of your purchase. 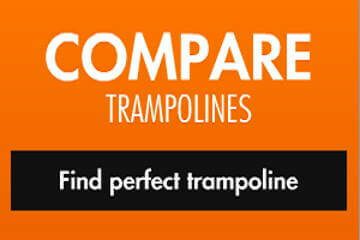 Overall, due to rampant quality and performance issues, we must say there are better trampolines around. 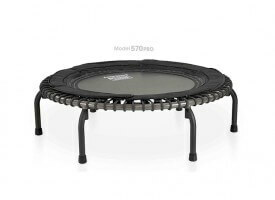 This rebounder has been known to break often and soon, as well as snap shut for no reason. Some users were perfectly happy with it, though. It’s a gamble and it’s up to you to decide whether you want to take the chance. 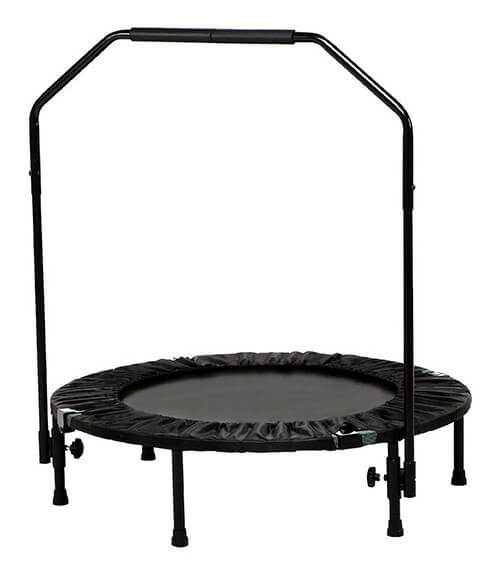 We feel there are better trampolines around for comparable price – such as the Ancheer rebounder.